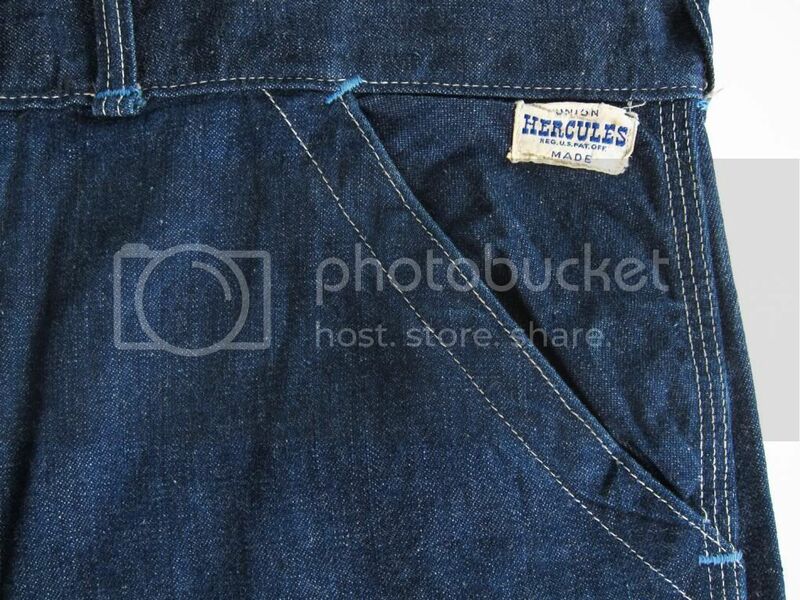 Anyone else a fan of the old Hercules brand sold by Sears Roebuck and Co? 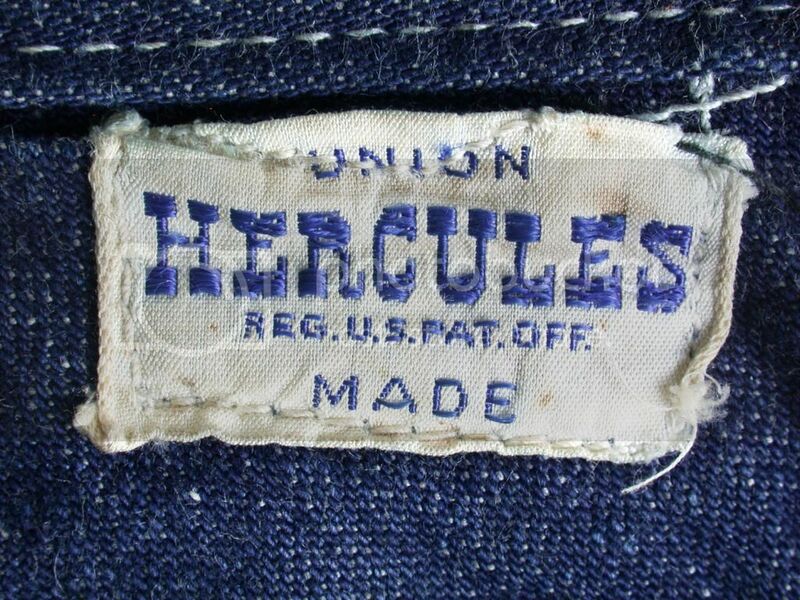 They sold some amazing denim work wear under the Hercules brand from the 1910's to the mid 1960's. 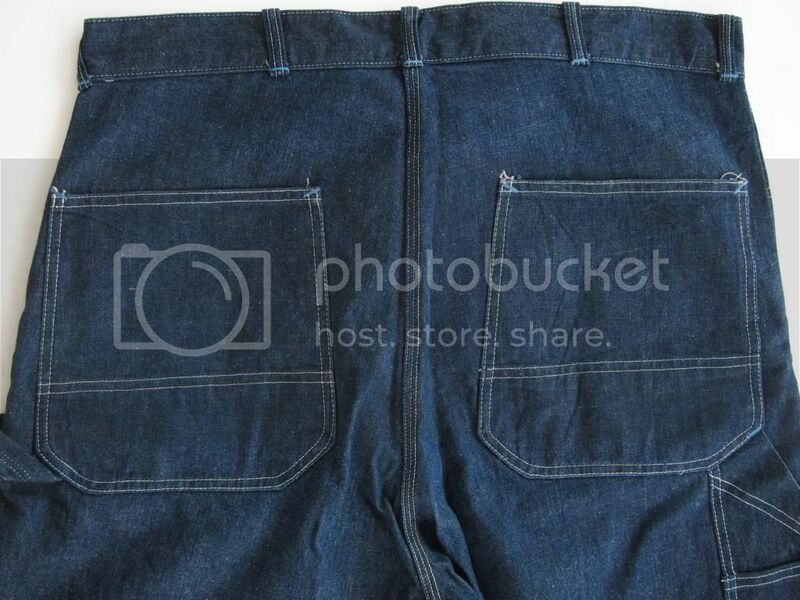 Here's a pair of dungarees from the 50's. 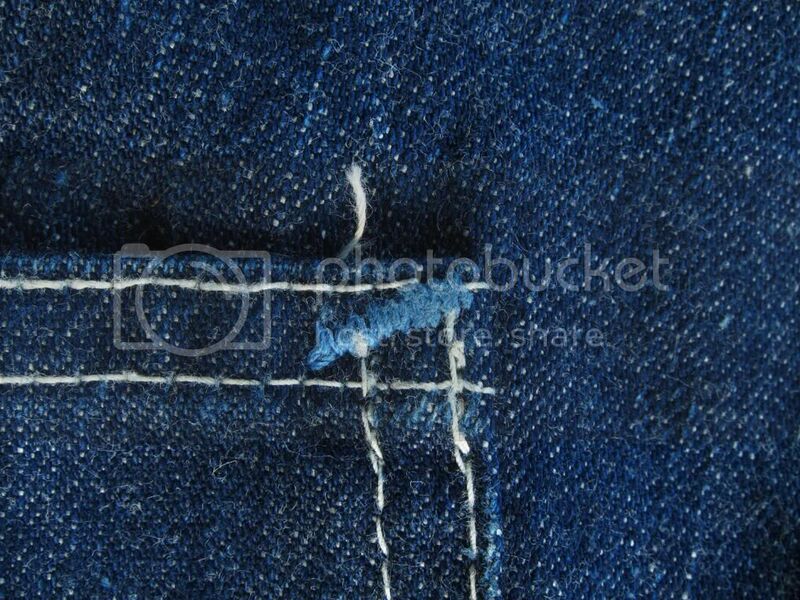 I like the light blue contrasting thread used on stress points and the simple black painted steel button on the fly. hi, Grant i absolutlely love all the chain store brands. hercules, roebucks, foremost, ranchcraft, powr house etc... they all have unique and unexpected features and give sense of variety compared to the big three. 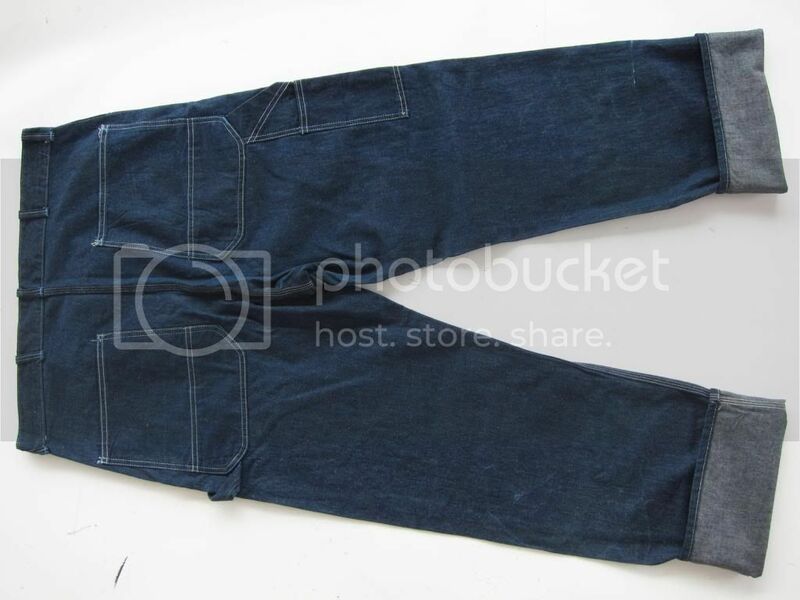 i miss the old days when these were off the radar a little bit and not only were they unique and cool but were a tremendous value.